A new team to the TCR International Series will become the primary Honda squad in the championship this year, with Hungarian star Norbert Michelisz putting his name behind the programme which will be run by former B3 Racing team manager Dávid Bári. The B3 Racing team has closed down over the winter, with drivers Dusan Borkovic and Mat’o Homola moving on, with Borkovic already confirmed at the GE-Force Alfa Romeo team, while 17-year-old Attila Tassi has signed on to race for M1RA, paired up with touring car stalwart Roberto Colciago, who is 31 years his senior. Bári is also the brother of Michelisz’s race engineer Gergő, and ran the SEAT-equipped B3 team over the past three seasons, taking Borkovic to the ETCC drivers’ title in 2015 before the team moved to the TCR series in 2016. Bári will engineer Tassi’s entry, while Colciago’s race engineer will be Gabriele Tarquini’s former engineer Giancarlo Bruno. 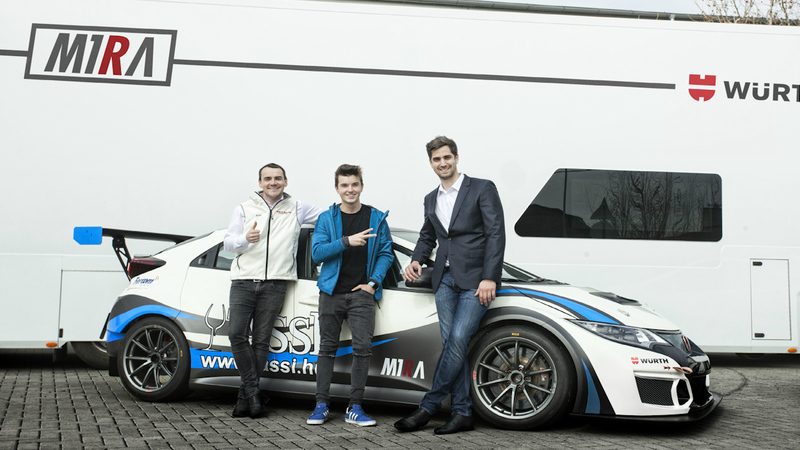 “I’m really happy to be involved,” said Michelisz to TouringCarTimes. “As a racing driver I need to think of where to expand, and when (Bári) told me about the opportunity, I was very happy to assist him. “It’s basically him in charge with connections to all the people, and I helped him in get in contact with JAS which made it easier for him to go on. “My main task is to coach the young Hungarian driver we’ll have. (With Tassi and Colciago) it’s a very good mixture, but I know about the language difference and also competition between drivers.